Badshah is one of the singers/composers whose music became instant hit. His music can be heard in any club or party. Earlier he worked with Yo Yo Honey Singh but after few years he started to compose and sing songs individually. He composed music for several Hindi movies such as “Humpty Sharma Ki Dulhaniya”, Khoobsurat and so on. He worked with several singers like Diljeet Doshanjh, Aastha Gill, Gippy Grewal, Raftaar, Manj Musik and lots. Badshah’s original name is Aditya Singh but in the music world people know his as BADSHAH. From his childhood Badshah was fond of music and he used to listen Indian and western music. He wanted to be an IAS but his love for music made him a popular music composer. While in school, he used to sing in the school choir. Before choosing a career in singing he completed his civil engineering degree from Chandigarh Institute of Technology. It was in his college life in which he discovered a rapper in him. He says there’s something regarding rap music, which attracted him. He believes that rap music is about delivery and expression and rap is quite harder to sing. According to him Delhi is an amazing place and whenever he needs inspiration, he goes to Delhi. 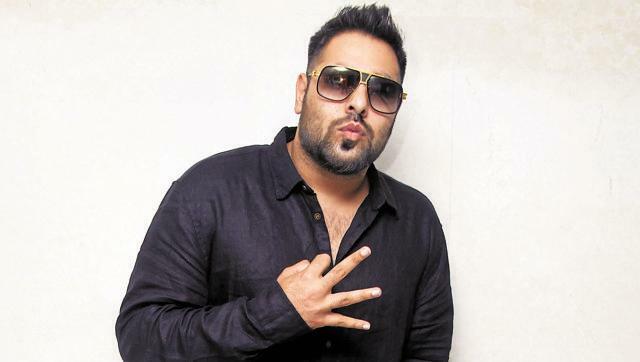 Badshah don’t like partying but he goes to various clubs in Delhi to observe what people like and love to do in clubs and he writes down all those things which help him to compose his rap songs. The song “DJ Waley Babu” can be considered as the party anthem of the year 2015. After its release in youtube, the song got 7 million views within one month, which can be considers as a record. The song became a very big hit and still today in every party & club the song is played at least once. “Abhi To Party Shuru Huyi Hai” is the song which won the title of best party song of the year 2014. The sonh has mesmerizing music in which you are able to groove all night in a party or club. “Get Up Jawani” is the song which Badshah composed with the Yo Yo Honey Singh and the result is that he song became a hit. But Badshah hit the jackpot with the song “Selfie Le Le Re” from the movie “Bajrangi Bhaijaan”. The song “Selfie Le Le Re” became a big hit all over the nation and all the TV channels played the song almost every day. Badshah and Honey Singh worked together for almost 6 years prior to Badsha became a singer and independent composer in the year 2012. The song “Abhi Toh Party Shuru Huyi Hai” from the movie “Khoobsurat” was a promotional song for the movie in which Badshah was featured for the first time on silver screen. Today Badshah became popular more than Honey Singh may be because Yo Yo Honey Singh was out of the music industry for few years. But the songs of Badshah are giving tough competition to Yo Yo Honey Singh. One of the most sensation songs of the year till now is Kala chashma. Performed by two heart-throbs of Bollywood Siddharth and Katrina, the song reaches 1st position in no time. Originally the song was relased 10 years back and now Badshah mixed it with own beats made it super hit. Kar gayi chull is another party song by rapper Badshah who have sung it with Neha and Shruti Kakkar. The Siddharth-Aliya starrer movie Kapoor & Sons has this up beat party song that become a part anthem for all the occasions. One of the most popular songs in all the discos and parties, DJ wale babu is a single released by Badshah. The rapper himself composed and written the song that has become the country’s favourite beat overnight. Abhi toh party is yet another hit number from Badshah. The song has ravishing Sonam and hunk Fawad who are grooving around and call everyone to enjoy to the fullest. The lyrics are fun and it has hit the top charts immediately after it was out. It is a closing song from Varun-Aliya blockbuster by Badshah. The song is an apt for the disco and any parties. The upbeat music and fun-filled lyrics made the song all time favourite of the entire young generation. One of the biggies of Bollywood Salman-Anushka pair grooves in this wedding based song. The song has traditional as well as upbeat disco tune that made a mix-n-match effect. Boxer Vijayendra singh’s first ever Bollywood movie that many a people didn’t notice yet has this fabulous party song. Badshah did the rapping part that completed the Haryanvi style song. A dance based Varun Starrer movie has this closing song where the entire cast had performed this song on stage. Along with fabulous dance moves and upbeat tune the song becomes huge hit. Selfie le le re has almost become an anthem for the selfie lovers. Salman fans still have this songs as their ringtone because of Badshah’s unbeatable rap in the song and the grooving music of selfie le. Arjun kanungo was already a renowned name by now with his song Fursat. He did release his 2nd single with Badshah rapping the baaki batein peene k baad.